Okay! Musume Time: A Factory Worker Resigns! Kobushi Factories Fujii Rio to Graduate Hello! Project and Kobushi Factory This Summer! A Factory Worker Resigns! Kobushi Factories Fujii Rio to Graduate Hello! Project and Kobushi Factory This Summer! 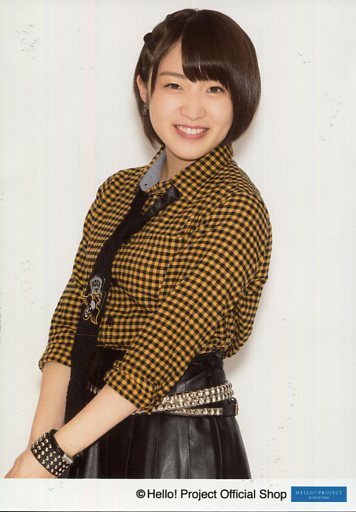 Not even a month has passed since the Graduation Announcement of Kudo Haruka from Morning Musume and Hello! Project, and already we have another announcement regarding the leave of an Hello! Pro Idol. With the announcement made on May 12th concerning Fujii Rio's desire to graduate, the Kobushi Factory sub-leader has revealed that she will leave both her group and the company this Summer, at the end of the Hello! Project Summer 2017 concert tour. She has expressed her desire to continue her studies now that she has finished Highschool, and look towards becoming a teacher or a nurse. Up-Front LINK has translated both the staff comment, and Fujii Rio's comment in regards to her Graduation announcement. 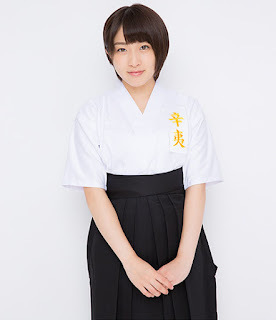 "I, Rio Fujii, will graduate Kobushi Factory (Magnolia Factory) and Hello! Project with the Hello! Project Concert tour of this summer. Last year, when I was a senior in high school and became a student preparing examinations, I could not give up on my old dream of becoming a teacher or nurse. ... So, yeah, that was a little unexpected. Heck, for someone who doesn't even follow Kobushi Factory, this news seems to be a little out of left-field. I didn't expect it, not so soon after Haruka's graduation announcement, and definitely not from one of the newer units within H!P. It's unprecedented, and probably a tad too early, given the time frame Rio has given the fans before her departure. I mean, I don't think it's bad that Rio is graduating; she is 18 years of age, just out of Highschool, and has a clear idea of what she wants to do right now. If anything, the timing for her to go is about right. But, to have her Graduation announced after Kudo's - which is also being held at a later date, mind - it's the timing of her announcement that feels a bit rushed. Or like they felt the need to just 'drop' it in there, rather than give it as much concern as they have with Kudo. Maybe this is just me being overly negative, but, it does feel to me like Rio's graduation announcement was the least important news Hello! Pro wanted to deliver. Honestly, if anything, I would have expected hers to come first, given the time frame between now and her departure from the company and her respective Factory outlet. And, given the recent announcement that current Kenshuusei members Danbara Ruru, Ichioka Reina and Kawamura Ayano will debut sometime in the near future, I can't help but think that maybe, just maybe, one of those three members could easily debut here, or altogether. Who knows? Right now, these are just my own random theories. Of course, I'm not really a fan of Rio, but the surprise I had when her Graduation was announced is genuine. My friend told me in a group chat that 'a Kobushi member was graduating', and before I even knew who it was, my first thought was 'Rio. It's gonna be that Rio girl'. Well, I was right, however much I wish I wasn't. I know she is greatly loved by people, some of whom I know. Of course, we cannot stop graduations from happening. It is a part of life in the Idol world, and of course, these Idols must group up and learn for themselves the roles they want to take on in society. Some wish to continue in the entertainment sector, whether it be as a reporter, actress, musician or a tarento, and others want to do something quieter, outside of the media's eye. For Rio, she has chosen a life based around education, where she can help people either in learning, or in health. Personally, I find that to be a great path to go down. I do not know Rio's personality, nor do I know what she is like as an Idol, really, but I do think that she has chosen something that she believes will suit her, and that she will succeed in. She has been an Idol, a job that deals with being around people, encouraging them, and giving others hope. As either a Nurse or a Teacher, Rio could continue doing this, and giving people the desire to go on and become something more. It's very admirable, and I do want her to do well as she continues her education, and follows the path of becoming a successful career woman. I know that many fans will be saddened by this news. I know that it will break your hearts and make you feel down. But, remember, this is your Idol's choice, and this is what she aims to pursue. Please, support her and everything that she does, and give her words of encouragement. There is still time left to love the Idol that is Fujii Rio, and to create memories. She is not leaving yet, so cherish her whilst you can, and think fondly of the Fujii Rio you know. Until the final day of the Hello! Project Summer 2017 tour, let's cheer Fujii Rio on, and enjoy the power of the Kobushi Factory that stands on that stage today. Until next time, everyone. Take care, and love thy Idol.